When organisations want to buy an Electronic Document and Records Management System (EDRMS), they often believe it will solve their records management problems. They find they have lots of paper. They have lots of electronic documents. They have shared drives that are full and disorganised. The EDRMS is often touted as the magic bullet, it will solve these problems. However, if we read Peter Drucker, they are solving the wrong problems because they have not asked the right questions. Peter Drucker suggested some questions in his seminal article The Coming of the New Organisation. (https://hbr.org/1988/01/the-coming-of-the-new-organization) The new organisation would be based on information. He wrote this in 1988 before the web, digital platforms, or social media, yet had an insight into how organisations worked. More to the point, he understood how computers would influence those organisations. First, it would allow what people did manually to do it faster. Second, the data processing would change the structure of an organisation. This was a major insight since it signalled the radical changes in organisations that we are now experiencing. Third, work will be done differently with sequencing of work being replaced by synchrony of work. The second point is what I want to consider as it relates to the EDRMS decision. Usually an EDRMS comes with a desire to have “New Ways of Working” (™ © ® etc. etc. ad nauseam (no one ever introduces old ways of working. 🙂 ). The NeWoW reveals, or threatens to reveal, that, as Drucker noted; many layers of management only exist to relay information across the organisation. They serve as signal boosters to pass faint signals from the top to the bottom or farthest reaches and from the farthest reaches to the top of the organisation. However, to make the NeWoW, a success, at least in terms of the EDRMS, the organisation has to know how it works. Here is where most change programmes fail since people rarely ask the questions posed. Or at least, it does not appear these questions are asked. Usually, consultants will come and discuss Business Process Re-engineering. This is useful, except it only address the first point. It helps the organisation do what it does manually, faster with the new digital system. What I am not aware of, but perhaps a reader is, of an organisation that has asked itself Drucker’s questions. As Drucker says, information is data endowed with relevance and purpose. However, to convert data into information requires knowledge. Yet, knowledge is specialized. Here the command and control system emerges in its fullest culture especially if the belief that information is power and so must not be shared. When I first started working in UK local government 15 years ago, I was told an important secret. The questions are likely to reveal that the people who convert data to information are senior managers and a few middle managers. The rest are passing information around as relays or collecting the data. I would be interested to know if anyone has asked Drucker’s 5 questions to see whether you work for a command and control organisation or an information organisation. The answers may reveal the gap between the appearance and the reality. I would be interested in your views on the questions and the answers. In November 2015, I attended the Threats to Openness conference held at Northumbria University. The conference had a specific aim “discuss the growing threats to citizens’ rights to access public archives across the digital world.” Although we did not discuss what was meant by openness, it was understood mainly to be defined by the right of access or the right to access public archives. However, this provides only a limited sense of how openness was used during the conference. Participants and speakers regularly referred to difference between access and openness noting that they were often confused. One does not always imply the other. As openness can be understood differently, the threats to it will vary with responses that can potentially conflict with efforts to help with access. What was missing was a detailed discussion of the relationship between access to archives, openness and the nature of the society. A society may be relatively closed yet allow access to its archives and one might have an open archive with few records. The implicit theme was that informational openness presupposes an open society. Yet, without understanding how archives relate to an open society, we could not fully understand threats to openness as a threat to access or how threats to access to archives are a threat to openness. To do this, we need to explore what is meant by openness. To do this, I sketch some ideas about the open society. The following remarks are based on what I heard at the conference. We need to understand the open society to understand openness and from there to understand the threats to it. Part 1 What is openness? Some thoughts. First, openness is usually associated with the idea of an open society– “a society characterized by a flexible structure, freedom of belief, and wide dissemination of information.” The open society presupposes a regime based on openness. What constraints this view, though, is that openness and transparency are not the same. A government may want the public to believe that its transparency indicates openness. That a government will publish a large and varied amount of data and information is a sign transparency. The access to that information and its willingness to provide information as requested indicates openness. Transparency does not mean that there is greater access to information or greater openness by the government. We can look beyond this view of openness to explore how it connects to the political system. Karl Popper popularized the idea of the open society. He argued that an open society was one in which the government is responsive and tolerant with political mechanisms that are transparent and flexible. For Popper, the open society exists in contradistinction to the “closed” society. The closed society is based on traditional or tribal systems that are intolerant of challenges to its authority. One way to limit challenges to authority is to limit the information that is available. However, Popper’s views are a crude version of what Henri Bergson proposed in his work The Two Sources of Morality and Religion where he developed the idea of an open society. 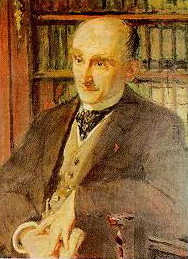 Bergson proposed that the Open Society was an idea that was temporal, as it has yet to be realized, and global in that it would include everyone so that we are all living in a potential open society. In other words, it is an ideal that is present in a nascent form still to be realized. By contrast, the closed society was one that the excluded some individuals even as included others so they were closed to part of humanity. The truly open society would be one that is global in scope. When we consider openness at this global level we start to see how various threats to openness might emerge. We can see, especially through Bergson’s work that the UK society is closed in many respect. As a monarchy, the archives as litmus test for that openness as they raise the question of arcana imperii, the secret information a regime uses to rule. Like all societies, the UK will have legitimate reasons to limit access to keep information secret or private. They indicate the border within which threats to openness emerge for it is the point at which society, or the rulers, have agreed that openness cannot pass. Even as there are attempts to encourage open information in a general sense, all societies will limit access to information and specifically the archives. Thus, we may have to accept that openness, in terms of information, only means; a specific domain, specific information, or a general idea. Even if it is an extensive domain such as the “public domain”, it may not cover all of society. In other words, the limits on information may indicate the extent to which it is a closed society. A further question is whether those closed off areas are a threat to openness simply by being closed and thus inaccessible. Such a question, though, presupposes that we know who cannot access the information. If a government minister can access the information, is it closed? If junior civil servants have access, is it closed? Do we have to accept as our standard that if the public cannot get access, then it is considered closed? However, that assumes that the public are the standard by which we measure access and openness. If the public do not rule, as they do not in the UK or in other countries, why do we assume that access is to be measured by what the public can access? Moreover, is a public record what the government decides as people may donate or bequeath papers, documents, and records to record office. Does closed mean that they are inaccessible to the public gaze, neither we nor our representatives can see it (such as state secrets) or that they are not readily accessible, that is they are exempt from disclosure even though they are covered by the Freedom of Information Act (FOIA)? Or are they do not even constitute a public record, such as Royal Archives or private archives so are completely outside the “public” gaze? In an extreme case, as mentioned earlier the archives can be an extension of, or even coterminous with, the arcana imperii. As the rulers rely on this information to rule, openness threatens their rule or their legitimacy. However, the arcana imperii is not limited to imperial governments or government simply. It is applicable to any intellectual discipline where information provides power or status. Where discoveries can provide competitive advantages for the organisation that has sponsored the research, openness can be a threat as the material is what provides the knowledge which creates an advantage. By their nature archives are closed off in that they are bounded space for a specific purpose to protect or preserve records even as they make them available for future generations. In this regard, some records are closed by statute and others by request. Within that process, a further threat to openness can be found in the system for cataloguing the records. The catalogue can become a barrier to access as the public have to know the “language” to access the material as well as understand the process to access. However, these are structural barriers, which while problematic do not threaten openness generally even though they may be a particular challenge. The structural barriers can be overcome by the archivists or the user. By contrast, a statute or a legal barrier, imposed externally, cannot be overcome by the user or the archivist without penalty. In this, the structural constraints are not designed to reduce openness or access; they are designed to control it. But what are the other threats? We need to consider these at three levels. The archival level is where threats to funding become a threat to limit access to archives or a powerful patron seeks to limit access. At this level, there are threats to an organisation hosting the archives where it may close the archives. Other threats might be the technical limits where records, stored as data, become inaccessible and therefore closed. Further, the technical limits can also limit access so that even if the archives are digitized, their access can be controlled more easily and more extensively even to the point of excluding the archivist. By contrast, physical documents, which while closed to the public still exist in a tangible place accessible to the archivist. To put it directly, you cannot encrypt paper. At a societal level, threats can occur when people no longer value or understand archives. The archive’s role in society may be misunderstood or overlooked. As a result, the lack of interest or understanding can generate threats to funding or access as society allows the archives to be closed. Moreover, the government may wish to close the archives as a way to ensure their arcana imperii remains protected to maintain their dominance within the political system. The global level the threats can develop from an international or global resistance to openness. We can see this develop because of cultural reasons or for security reasons. In particular, in the West the fear how information will be used means that it is closed to those who might “abuse it”. We note that scientists close their research to tobacco firms and scientists will sometimes close their research to rivals. Alternatively, the government or research sponsor may classify information to limit access. In some cases, the fear may lead to archives being closed to foreigners or to the public. Yet, these only relate to the archives themselves. We need to consider the other part of the issue the citizen’s right of access. We can read the sentence narrowly to consider possible threats to a citizen’s rights. The focus is mainly, but not exclusively, on political threats where governments want to limit, or community, want to limit rights of access or society no longer supports or is informed enough to challenge the government’s proposal on access. Further, the threat may come from the society being unaware of or unconcerned with the government’s failure to ensure citizens’ rights of access. However, these were not the main concern as the focus was on the political and technical threats to access. Are there political reasons why access is to be limited? There may be political reasons for closing or limiting access as a regime is not required to have archives or to allow access even if it has archives. The question here is whether there is a right to access in itself or is access part of the nature of being a citizen especially in an open society? In the former, it is that if you have archives there is a right of access. Thus, if no archives exist you cannot have a right of access and even if there is an archive a right of access is not to be inferred. In the latter, it is that as a citizen, especially in an open society, you are expected to have right of access even if archives don’t exist. In that sense, an open society infers that archives will exist and are accessible. The premise is that free access to information is the basis for an open society, which extends to archives. Yet this brings us to the challenge mentioned earlier that the government may wish to make information open or accessible on its terms and not in response to what the public request. In other words, the government wants to be transparent but not open in the sense that it can be forced to given an account by providing access. The issue of “push” (government transparency) versus “pull” (citizen’s right of access) for the citizen rests on the understanding of whether accessible information is the same as open information. Further, information that is accessible may not be open as only a few people may have access it. The approval process can limit access beyond who can physically attend the location to access the information. When we discuss this issue, we are working from the assumption that the information is in an accessible format when someone exercises their right to access it. As mentioned earlier under the archival threat to openness, a powerful patron or a politically powerful person may seek to limit what the archives contain. They may wish to hollow out the archives to avoid being accountable to history or anyone else. They will ensure documents are well vetted before they get to the archives, if they get to the archives. Once at the archives, they may put the archivists under pressure to accept limits on access. Alternatively, the powerful patron or political figure may encourage individual departments or agencies to limit their access to information or cleanse their records before it arrives at the archives. Although the conference did not explore this idea, the right of access can be threatened by political activity in which records “disappear” and people find that the historical record is sanitized so as to avoid embarrassment at a minimum or hide outright criminality at a maximum. The deeper threat is that archivists become co-opted by the political process. The archives have to survive in a political system so they will accept such behaviour to protect the archives. The implicit fear is that if they insist too strongly on robust archival retention, their political masters will limit what they receive or limit their funding to operate. As it is their political masters, the government, an archivist has no higher authority to which they can appeal assuming they can make the higher authority see a concern with the issue. Would a national archivist in the UK really be able to face down a Minister who chose to limit what they would provide the National Archives? They may never face an obvious crisis like the Nordlinger Affair which is crude attempt to exert direct political control. Instead, they will have the indirect request to allow greater oversight of the disclosure process or the request to improve the vetting process. All of this will appear to the archivist as a positive step even as it is attempt to encourage even greater political control over the archives by limiting what may be accessible in the future that might hold the government or the politically powerful person to account. Does technology create a limit to a citizen’s right of access? We have to consider whether the digital domain changes the nature of the right to access. There is a danger we can believe a right has been expanded through the appearance of openness created through greater access promised by the digital domain. According to this logic, a document can be accessed from anywhere in the world through the web, which makes access global. Yet, that same access can be limited more easily either through controlling the digital access or by keeping the records out of the digital domain. As the closure is less noticeable in that suspending digital access is not as prominent as physically closing a building, it becomes problematic to assume that digital intrinsically creates more openness. Moreover, one can target the closure to people from specific addresses or from certain domains where various login pages can limit access and access can be further limited to what can be searched electronically. By comparison coming into the archives one can have physical access to different documents and is only limited by what the available index allows. Further one has to explain the refusal in person when the digital domain does not require such a personal transaction, which can be open to negotiation or influence. A related problem is that the digital access may not work. In this case, the material that is held digitally is in a format that cannot be accessed. Here the problem is future compatibility. An electronic record from 1990 on a legacy system may not be accessible on a 2015 system. Thus, the technology may constrain the right of access. The technological obsolescence may limit or remove the right of access. Even though someone physically accesses the record, they cannot access the information that it contains. What if openness is a threat? Can that explain why there are threats to access? Another way to look at the threat to citizens’ rights of access is to consider how openness is considered a threat. By reversing the question, we can explore why individuals, organisations, societies, and governments would want to limit that openness. The first point to note is that governments, societies, and individuals have legitimate reasons for keeping things inaccessible to the public or to citizens. Usually, these are state secrets or private information so they will not want to encourage access to these types of records. However, we have to be careful not to confuse the desire to preserve state secrets or personal information with a resistance to openness. The United States and the United Kingdom are open with a large amount of their data, information, and records. Even as they seek to preserve secrets, they also work to ensure openness, which is often manipulated so that critics will say that resistance to disclosing state secrets is considered a threat to openness. The problem is that one is a passive resistance, no access to state secrets, the other is active resistance your right to access is limited. In the UK, for example, the right of access to national security documents still exists as the FOIA can be used, yet it is limited by an absolute exemption. Finally, we have to consider that openness is a threat to those who rely on hidden information, the arcana imperii, that allow them to have an advantage. Here the issue is not so much that knowledge is power it is that limiting access to knowledge is what creates power. One can see this indirectly in the way that websites can limit access, which give them an advantage, which also limits rivals to their position. At a larger level we can see this in the way that certain regimes rely more on arcana imperii as they are not founded on principles that would benefit from openness. The idea here is that openness implies an equality, an equality of access in that it is a right, and therefore challenges the intrinsic inequality of the arcana imperii. Although all these points are made tentatively, since they were not addressed at the conference, they do suggest a possible area to investigate especially if we connect openness and threats to openness to the idea of the public domain whereby we assume that the public domain is open. All societies are closed to some extent which means that Bergson’s ideal is aspirational or theoretical except in the potential of a world state of enlightened citizens. In its other sense, arcanus indicates that which, regardless of chance, must be kept from knowledge, things tacenda or celanda. Whatever the reason, promulgation of these secrets would be disastrous, whether the important area be political or religious. P360 “Here we have one of the keys to power, the ability – and the need – to conceal what is necessary from the general eye. And the verb vulgärentur is instructive; we have met it twice before. The value of arcana is exclusively political here; what is referred to must be tacenda. The arcana imperii can also describe secrets of nature. If man can unlock those secrets, it is believed he can control nature in the way that man controls man when he knows their secrets or possess secret information that they cannot know. The Congressional Record Service (CRS) used to publish its reports on the internet. However, Congress after 11 September attacks, ordered that they are no longer published on the internet. Even though other organisations such as Federation of Atomic Scientists (FAS) publish them on their own initiative, Congress’s decision has reduced access. The example of Athens vs Socrates is such an example as the city could not tolerate openness beyond a point where its identity or legitimacy was in question. On New Year’s Day, Silvia Spiva asked me to offer some words of wisdom to two friends who were turning 30 this year. I was surprised, yet honoured to be asked. I don’t consider myself to be particularly wise or knowledgeable. However, it is a rare person who can see themselves as they are seen. I promised her that I’d write some words once I had time to reflect on what I would say. When such advice is requested it is easy to offer an immediate answer like “Eat healthy” or “Always wear shades”, which discharges the duty but does not answer the question. I wanted to answer the question without offering a list of duties or tasks the person must accomplish or avoid. To the extent that I have wisdom or insight, I offer the following comments. I do not know either of the men personally so the comments are focused on the public life which precludes personal or spiritual life. To provide advice on a personal life or a spiritual life, one has to have a better understanding of the person, their background, and their current context. As I have neither, I can only provide some words on their public status and what I know about the public domain. I hope my comments can be useful. Integrity. As both of you are turning thirty, you will have already achieved a measure of success. You will have already been asked and answered, whether you know it or not, the integrity question. Integrity is fundamental to a rewarding public life. If you have it, people will trust you and rely on you. If you lose it, you will spend a life time trying to recover it or living with its loss. Without integrity, you are not as trustworthy or reliable. You may be asked to sacrifice some of your integrity for short term success. Is the success worth it? For some people, the answer is yes. They gladly become the willing executioner. If you have not already experienced it you will find that many organisations, and some people, will demand or at least politely suggest that you need to be flexible with your integrity. They will ask you to bend to their or the organisation’s will. In other words, you need to sacrifice your integrity for their ends. Faith. Faith is more than a spiritual characteristic for here it means being part of something larger than you. Our professional or public lives have meaning and are rewarding to the extent that we are part of something larger than ourselves. For some people, that can mean public service. For others, it can be working within an organisation. They want to serve either the public or the organisation’s ends. For others, it is to join a cause or movement. Whatever you decide, turning thirty is when you have to consider what is the larger project, idea, or movement that you want to be part of. Seek these out and see where that adventure takes you. If you take a small slice of a larger problem, you can find a way to make a difference. You may not solve world hunger, but you might find a way to identify potential drought spots before they become severe. Live your life. As you turn thirty, you are now officially in your middle age. As your life span is about 80 years, when you pass 27 you have arrived in your middle age whether you realize it or not. You have to decide what life you want to live. You may find that you have been living with someone else’s expectations or demands, such as finishing graduate school, or completing an apprenticeship, or founding a company. Over the next decade, you will be shaping your career. If you seek out larger projects ensure that you are pursuing it for your own reasons. If you seek money or fame, they come at a cost. Make sure the price is worth the cost. Less glamour does not mean less fulfilling. In an age of mass culture, the prevailing ethos will suggest that success or meaning is measured by public criteria. The criteria may include something glamorous or publicly acclaimed, such as fame, status, power, or money. The prevailing ethos, with a focus on celebrity and status will suggest that if you are not pursuing these or obtaining these your career or life is less fulfilling. The lack of glamour does not mean that what you do or what you want to be is less fulfilling. You are at the point where you have to decide what matters to you and to pursue it. As your choices close off other opportunities, realize that life’s contingencies are not your fate. Instead, a life lived as you want is harder to achieve and is more rewarding than a life lived to others expectations or to their standard. Lastly, there is the question of how you get anything done in this world. You may believe the common idea that all that matters is the individual to get things done. You may have also been encouraged to believe that networks matter most to achieve your success. Both of these have their role, but neither explains what really works. Organisations matter. If you want to get anything done, you need an organisation. A network is not an organisation until it actually delivers results and responds to what you require. Organisations may be fluid, they may even be structured like networks, they may even be “virtual” (whatever that means) but they never disappear. Only with or through an organisation will you be able to achieve what you want. Organisations provide the context within which you can flourish and leverage your individual talent. Over the rest of your career and public life, the more you understand organisations and develop your ability to organise, either across or outside your networks, the more success you will have as well as your ability to manage or at least adapt to life’s contingent events. I hope these words of “wisdom” help without being too obvious or being grandiose. Revel in your youth and marvel at your opportunity. Daniel Morgan was brutally murdered with an axe. In the days before his murder, he had claimed to have information about a network of corrupt police officers. Despite, 6 investigations and two failed prosecutions, his killers have never been brought to justice. They have escaped justice in part because of police corruption. Police corruption during the initial investigation has made it unlikely that his murder will ever lead to a prosecution. The Metropolitan Police Service failed him and his family. They failed to bring his killers to justice. They failed to address police corruption. They failed to resist an unhealthy relationship with the UK media, in particular News International. The corruption coupled with the corrupt media relationship makes his case notable as it challenges the United Kingdom as a decent society. If Daniel Morgan cannot get justice, who can? When the police and the press are corrupted, who is safe? In response to the corruption, failures, and denial, a relentless campaign has forced the government to hold a public inquiry. The public inquiry set up in May 2013 to explore the evidence from the police and others sources has the following terms of reference. The incidence of connections between private investigators, police officers and journalists at the News of the World and other parts of the media and corruption involved in the linkages between them. A previous post covered the first item on police involvement in the murder. It suggested that the relationships needed to be mapped to see their effect. This paper focuses on the second point. It defines political corruption and explores the failure to confront corruption on three interrelated levels—the individual, institution, and the regime. At the institutional level, the police had a corrupt relationship with News International. The company subverted police objectives. At the regime level, the police were corrupted by the regime’s demands. The analysis will be of interest to anyone researching corruption. The institutional corruption can also apply to corporations who can be subverted by a powerful patron. The regime level will interest scholars in political philosophy as it connects the regime level to a particular problem. Most importantly, I hope it will be of interest and use to anyone who has followed the Daniel Morgan case. Police corruption threatens the citizen’s safety by weakening their access to public justice. Without a secure access to public justice, a decent society or decent politics is tenuous. When a citizen lacks access to public justice, they appeal to force or power as justice through consent to the laws is impossible. For the UK regime, this threat is particularly problematic. I welcome your comments on this paper. I encourage you find out about Daniel Morgan’s murder. It exemplifies the problem of justice when the police are corrupt. If Daniel Morgan cannot get justice, who can? The following are a list of sites, in no particular order, that contain useful information about Daniel Morgan, his life, his death, and the long, strange, frustrating case. http://www.justice4daniel.org/index.shtml The Morgan family’s campaign to get justice for Daniel. http://jackofkent.com/2012/02/daniel-morgan/ A well known legal blogger’s material on the case. http://www.murdermap.co.uk/pages/cases/case.asp?CID=492610746 A blog with a good history of the case. http://brown-moses.blogspot.co.uk/2012/05/hackgate-for-beginners-murder-of-daniel.html A good resource on police corruption and the Daniel Morgan case. We have heard the news that Volkswagen US designed and used an electronic device to thwart the emissions tests for its diesel vehicles. The device would recognize test situations and engage the vehicle in a safe mode that would reduce emissions to an acceptable level. As a result, the VW vehicles would have emitted pollution at up to 40 times the safe limit. In effect, the VW emissions poisoned millions of people as they emitted pollution beyond the acceptable safe limit. The emissions were being increased with each vehicle despite VW’s claims that their vehicles were reducing them. The VW engineers and managers intended to subvert the tests. They did not do this by mistake or as part of single decision by a rogue manager. On the surface, this appears to be an example of corporate malfeasance that is depressingly common. The company is caught after they fake a result, inflate earnings reports, or manipulate their customers’ timelines. The company apologises, someone resigns or is fired, it pays a fine or settles a lawsuit and promises to learn the lessons and change. What is always clear is even as the company responds; it shows it has not learned. Someone is found to blame, the rogue employee, incompetent manager, or the authoritarian chief executive so the company can survive. Even where they identify a problem in their culture, they believe that a better compliance structure or system will deal with the problem. Yet, they miss the deeper problem that a compliance system or structure will not address. What is the problem that lurks beneath the scandal’s surface? On the surface, we can say that VW has a flawed corporate culture and focus on the personalities or search for rogue officers. This focuses on the symptoms, without understand the problem that created the scandal. Another view on the surface is to claim that it is the pressure to perform and succeed, yet this requires us to understand why other competitive firms did not cheat. We leave aside the concern that they may be better at cheating. A further surface view would be to excuse it as what everyone else does it, yet this raises the question of why that makes it acceptable. Others stay on the surface by blaming someone or something in statements like “It is the regulatory system that creates the desire for a perverse outcome.” “It was an authoritarian Chief Executive.” These sound good, provide a reasonable explanation and may even contain elements of what happened. They may even lead to some changes. These approaches deal with the symptoms or contribute to the problem as they miss the heart of the problem. The problem was institutional corruption stemming from a deep, ingrained, ethical blindness if not moral callousness. At a basic level, the officers stopped being a moral person, they stopped thinking and this is why the lessons of Nuremburg have to be learned anew. The VW employees were inculcated into a management system that stopped them thinking, to stop asking questions or to question authority and required them to obey and not to raise bad news. They were inculcated to accept institutional ignorance. The banality of institutional ignorance is related to Hannah Arendt’s famous phrase “the banality of evil”. She coined the term to describe Adolph Eichmann’s unthinking behaviour to implement the “Final Solution” to exterminate Jews and other enemies of the Nazi state. He was not a grand, malevolent figure. Instead, he was an unthinking bureaucrat who followed orders from an authoritarian leader, which explain why evil was banal. Evil is rooted in thoughtlessness, an inability to think critically, where a person engages superficially with the morality of what they do. The VW employees, in particular the senior corporate officers and the boards, either choose to stop thinking or they are encouraged or trained to stop thinking. Where an organisation does not encourage critical upwards communication, where staff can discuss or think about bad news, such unthinking behaviour can occur. Eichmann never questioned the purpose of what he was doing or what was being done. If he did, then it was simply to confirm that his leader’s orders were to be obeyed. A good person would have thought about the problem, killing people, and realized it was wrong and would not have participated or actively resisted. Instead, he worked to improve the system. As a good bureaucrat, he acted as the system, and obedience to the system, was the highest moral duty. The system provided his moral framework. He never thought beyond what was required to obey a higher law. Institutional ignorance encourages the suppression of questions. At the Nuremberg Trials after the Second World War, the defence of following orders was ruled inadmissible. The courts reiterated that each soldier had a moral duty to question illegitimate orders. Each soldier had the autonomy to be a moral agent. That they failed to act morally and they directed others to act immorally made senior leaders culpable for their crimes. It would appear that this basic lesson has not been learned within German corporate culture. One would expect that in a country where such unthinking behaviour had been displayed so extensively and punished so completely, that the lessons would be learned that employees are ethical persons who need to make moral decisions. More directly, one would expect that a fundamental criteria or leadership in such a country would be that they can demonstrate they have learned the lessons from Nuremberg; that authority is to be questioned, and avoid an authoritarian approach that precludes questions so as to drive out ethical autonomy. What is clear is that VW intended the outcomes that they achieved and the culture enabled that outcome. They intended to subvert the emissions test to sell more vehicles and to increase their market share. They had no apparent concern for what happened to the public who would breathe the polluted air. Like Eichmann the senior managers who knew of the cheat did not think about the moral consequences. If they did, they did not stop it nor did they expose it. Even now they want to avoid their moral responsibility as they to point to their authoritarian leader who created a culture of fear. Even if true that does not avoid their moral responsibility. If anything, it makes the situation worse. A leader can only create a culture of fear if others enable that behaviour. The board and senior managers, those paid to push back and challenge, carried out his orders, *even though* they know it created a culture of fear which was ethically and morally wrong. At no point did senior managers push back or seek to restrain the culture of fear. As long as it delivered the results they wanted, they turned their face. They chose wilful ignorance. Tell me no problems and I will tell you no lies. The senior managers and the board expressed no curiosity and they did not create an ethical structure where this behaviour would not be entertained let alone put into practice and endorsed. We find no evidence that they tried to think critically. Even where external organisations, through inspections, did try to provoke them to think they resisted. In many ways they worked to avoid thinking or act on the ethical consequences of pollution emissions. What is striking from this scandal is VW had no whistle-blowers. No one thought this was a problem or if they did, they said nothing. In a country like Germany such behaviour is deeply troubling. Its history should be the lessons of what can happen if no one stops and asks the questions necessary to force people to think. Does your company require to you to think ethically? Questions would force the organisations to “think” and take responsibility to understand the problem. The system appears to have kept anyone from thinking critically or ethically about what they were doing or failing to do. When officers stop thinking, they stop being moral agents. They can avoid moral responsibility for their decisions when they transfer accountability to the system. In turn, the system absolved them of a responsibility to think about the problem. When no one is responsible for the ethical content of a decision then no one is to blame. Why question something when your superiors tell you what to think about it? In the VW scandal, we see what Arendt saw in Eichmann except the results were not immediately fatal. For VW and Eichmann the system worked. VW had higher priorities than public safety or a responsibility to act ethically. Why should officers question the system or what they were doing when the system does not encourage it? What junior officer is going to challenge a corporate director on that view? The senior officers had an institutional reputation to defend and a success to deliver. The bureaucracy was structured to serve the senior managers and their goals. The ethics would only get in the way. Why should an employee challenge it or should a senior manager encourage anyone, in particular junior officers, to question it? The senior officers modelled the unthinking behaviour as they did not question or challenge the culture of fear. Everyone simply followed a chain of command. No one appears to have challenged the decision and the programme to defeat the tests. When you stop thinking, you stop acting morally. The institutional corruption explains why whistle-blowers never emerged. A whistle blower would require someone to know the scale or scope of the problem and to see it wrong within the VW context. That is the deeper problem. The behaviour was seen and understood as acceptable by everyone involved. No one stopped and said “This is immoral. This is wrong”. VW obviously lacks an ethical culture. It lacks a candid culture where challenging questions were encouraged and an ethical framework beyond what was good for VW. VW appears to be a company without a soul and an ethical compass. This did not start with Winterkorn, if it believes that then it has not learned the lessons from Nuremberg. Professional curiosity should be mandatory, not recommended. What we see in all bureaucracies is a focus on secrecy that limits information on a need to know basis. These characteristics inhibit questions. A bureaucracy encourages respect for hierarchy and authority. It discourages dissent and it ensures that any dissent is channelled within the system. It also helps to ensure that the workers remain institutionally ignorant of the moral consequences of their behaviour. What needs to change to encourage ethical thinking? For VW to change, it has look at the whole organisation. If it focuses on the one service it will miss the forest for the trees. A curiosity culture, an ethical culture, across the company is needed. Officers have to be required to think and act ethically and question each decisions ethical consequence beyond what is good for VW. The following are some steps to create a curiosity culture one that asks questions that force it to think ethically. First, they need to demonstrate a culture where bad news can be discussed and acted upon by the organisation collectively. Bad news is not left to a service or a senior management team to manage. The organisation has to demonstrate how it, as the whole organisation, has engaged in the problem. Second, they need to create a candid culture. The culture will encourage critical upwards communication so bad news is welcomed and addressed with publicly accountable outcomes. The work by Tourish, mentioned earlier, is vital. Third, they need to train staff in ethical practices. They need to use scenarios to raise awareness of how institutional factors can discourage critical ethical thinking and that the law comes before what is good for VW. Fourth, they need to publish standards of behaviour. The senior officers and political leaders have to model the standards and be held to account for lapses. There has been the suggestion that VW’s unique position within Germany’s economy especially its ability to deliver jobs in politically important areas meant that corporate boards were relaxed about their oversight. As long as the results were delivered, profitability and continued employment, then the means would not be questioned. The issue here is VW wanted to defeat the tests and inspections. Arendt saw at work with Eichmann. “An issue or responsibility that belongs to everybody effectively belongs to nobody” and “And one can debate long and profitably on the rule of Nobody, which is what the political form known as bureau-cracy truly is.” p.289.